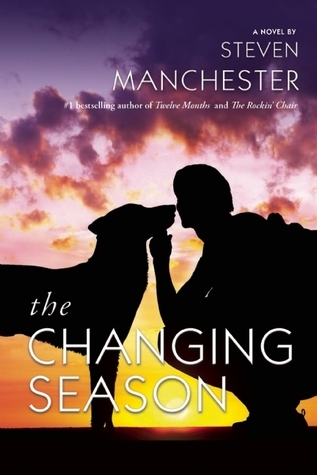 An enormously touching, richly textured, deeply moving novel of new adulthood, The Changing Season is an experience to savor—with special appeal to dog lovers. The beach was nearly deserted. After erecting their tent and establishing a cozy campsite, Jimmy trotted to the water. As Billy looked on, the silver-faced mutt walked in slowly—like an old man easing himself into a warm bath—the reckless abandon he'd once been known for completely gone. Billy waded in and took a seat beside him where they sat for a long while, looking out onto the horizon. While the tide gently lapped at their chests, Billy wrapped his arm around Jimmy's shoulder. "This is the life," he whispered. A seagull landed on the sand a few feet from them. Jimmy just sat there, watching the squawking bird with mild interest. "You must be tired, Jimmy. Back in the day, you would have chased that vulture until you collapsed." "Half-stepper," Billy teased the dog and stood to go for a walk and dry off. "I know you're stalling," Billy told him, "and it's okay." At least your spirit's still willing, Billy thought, getting choked up. They reached camp and sat together again where Billy discovered that the pads on Jimmy's paws were dry and cracked. One was even bleeding, which Jimmy licked for some time. Billy pulled the big moose into his lap. "Too many miles on those old tires, huh?" he whispered, before noticing the patch of missing fur on the mutt's hind quarter—a souvenir from a vicious fight he'd won in his glory days. A mean stray had swaggered into the backyard looking for trouble. Unwilling to let it go, Jimmy gave the growling stranger all the trouble he could handle. That one battle scar had been rubbed and patted thousands of times throughout the years, the family being forever grateful for Jimmy's sacrificial love and fearless devotion. As they sat side-by-side, Billy rubbed it again. Resting his head in Billy's lap, Jimmy's eyes squinted while he enjoyed the heavy scratching. Billy worked his hand up the old dog's body, stroking Jimmy's head and kneading the scruff of his neck. "I love you, buddy," he said. "You know that, right?" "And I need to go away pretty soon…to college." "The last thing in the world I want is to leave you, but I…" Billy stopped from going any further. A wave of tears was waiting to break on the shore just behind his eyes. As though Jimmy understood, he nestled deeper into Billy's lap and began giving Billy's hand a thorough bath. With his free hand, Billy rubbed Jimmy's chest up and down—fast and hard—exactly the way the old mutt liked it. As he did, he looked up and noticed a bank of even darker clouds had gathered above. "Looks like rain," he told Jimmy. "Hopefully, there's no thunder." They napped in the tent, Jimmy appearing much less worried about his nails on the air mattress than Billy. They curled up together, the rain pitter-pattering on the light canvas above. "It's just a shower," Billy told him. As good a guess as any meteorologist would make, Billy thought, though it doesn't matter either way. As they began to nod off in each other's arms, Jimmy snored peacefully. Billy stared at his best friend's face, studying every nook and cranny—memorizing every crease and line. But it was silly. He knew Jimmy's face better than his own. And I'm going to miss it something awful, he thought, swallowing back the lump in his throat. While the rain picked up and began thumping on the tent's roof, Billy closed his eyes. When they awoke from their afternoon siesta, Jimmy stood on the wobbly air mattress and yipped in pain. Once the sound of playful banter, Billy knew it was from pain now. "You okay?" he asked, massaging the dog's haunches and working out the knots as he'd watched Arlene do many times. "Feel better now?" he asked, stopping. Jimmy reached up with his right paw and scratched Billy's hand, gesturing that he continue. After a few more minutes, Billy stopped again. "Better?" he asked. Jimmy licked Billy's face once before slowly stepping off the jelly-like mattress. When they came out of hibernation, the air was cool and fresh. The trees glistened from the rain. Billy looked up. The clouds had dispersed, leaving behind the last of the day's light. Billy laughed. "Copycat," he whispered. The beach had always been the place where Jimmy was free to romp and roam—to explore. And each year he did just that. But not this year. Jimmy nuzzled into Billy's lap again, where he awaited the attention Billy had always showered on him. "You're a good boy," Billy whispered, as he scratched the gentle canine under his chin. He shook his head. "Although you haven't been a boy for a long time." In what seemed like minutes, a million flickering stars covered the dark sky. Billy and Jimmy got up to take another stroll. They walked a few feet when they happened upon a giant puddle. Moonlight was trapped in the puddle, along with Billy and Jimmy's reflections—the two of them standing knee to shoulder. While Billy smiled, Jimmy bent at the water's edge and began to drink, sending ripples through the portrait. "Don't drink that, Jimmy," Billy scolded him. "You have fresh water back in the tent." Billy shook his head. "Whatever, it's your stomach." They made it down to the water's edge again and stood together in the silence for a long, long while. It was as though neither of them wanted the night to end, as though both of them needed more time together. Billy closed his eyes and listened to the tide. The ebb and flow was constant but random, like surround sound lapping the shore on the left, right and center. The night grew cold, real cold for the time of year. Billy was surprised he and Jimmy couldn't see their breath. The drop in temperature was significant, reminding Billy once again that summer was quickly coming to an end. It was a cold slap to the face—literally. I'm moving away in just a week, he thought. One week! He looked down at Jimmy, glad that his furry friend had no concept or fear of time. Billy built a campfire, which wasn't easy considering that everything was still damp from the rain shower. But sitting by a campfire had always been his and Jimmy's thing, the perfect atmosphere to spend quality time together, so he worked hard to get the fire going. They sat together in silence for a long time, hypnotized by the swaying flames and the rhythm of the rolling tide. When it was time to turn in for the night, Jimmy licked his paw, running it across his face for the day's final bath. They both stood and stretched, leaving behind a handful of glowing embers and heading for the tent. Billy watched Jimmy—as a puppy—crying because the bedspread was covering his eyes. Jimmy's claustrophobic, he realized. "It's play time," he told the dog, tricking Jimmy into thinking they were going to horse around. The garden hose and bottle of dog shampoo, however, made the smart dog whimper. Billy laughed. When he looked back, Jimmy was stretched out flat on his belly, all four legs pin straight like he'd been strapped to the torturer's rack. Billy did a double-take and Jimmy was wearing the cone of shame so he didn't bite at his stitches after being neutered. Poor guy, Billy thought, and then yelled at the dog after he'd torn a pillow to shreds. In the next scene, an older Jimmy chomped on ice cubes, spraying them everywhere like a broken snow cone machine. And then they were fishing, both of them young again. Jimmy whined as he watched the small perch swim in circles in the bucket. He placed his paw on the lip of the pail, pulling it to him and dumping the flopping fish into the grass—in some sad attempt at freeing the prisoners. Billy laughed again and a moment later, he was watching on in horror as Sophie dressed the poor dog in some ridiculous outfit for one of her lively tea parties. Sophie played with Jimmy's ears, his paws, his tail; the mutt just lay there, as if he understood it was the price he had to pay for free meals. Jimmy's the ultimate pilot fish. Billy shook his head, while a water sprinkler soaked the summer grass and Jimmy exhibited another example of his terrible drinking habits. Billy could see himself falling out the tree in the backyard and grabbing his arm; the pain was mind numbing. While he healed, Jimmy never left his side. Billy then looked down to find that his cast was gone. He looked up again and Jimmy was smiling at him, his teeth covered in tartar build-up. "Have you been kissing a skunk?" he teased the dog. "You have a bad case of gingivitis, buddy…or is it halitosis?" Billy passed the groomer's window and noticed that he'd grown tall. Jimmy was beyond ecstatic to see him; his nails had been clipped, his fur trimmed but his eyes were as wide as two chocolate pies. "What did she do to you, boy?" Billy teased the frightened dog. Billy awoke, panting like a dog himself. He looked over at his tent mate, who was still snoring peacefully on the air mattress. "Oh Jimmy," he muttered and wrapped his arm around the drooling heap. Billy shook the cobwebs from his head and tried to make sense of it all. It was just a dream, he realized. Fragmented and confused in time and context, he'd dreamed about Jimmy. There were glimpses of the past and present merged together, as though Jimmy's life had been thrown into a blender and Billy was enjoying each experience with him a second time. He pushed himself closer to Jimmy until he could feel the rise and fall of the dog's breathing. "I love you so much, buddy," he whispered, before falling back to sleep. 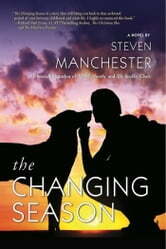 Steven Manchester is the author of the #1 bestsellers, Twelve Months and The Rockin' Chair. He is also the author of the award-winning novel, Goodnight, Brian, as well as the critically-acclaimed novel, Pressed Pennies, A Christmas Wish (Kindle exclusive), Wilbur Avenue (novella), Just in Time (novella), The Thursday Night Club (novella, released November 2014), and Gooseberry Island (novel, released January 2015). His work has appeared on NBC's Today Show, CBS's The Early Show, CNN's American Morning, and BET's Nightly News. Three of Steven's short stories were selected "101 Best" for Chicken Soup for the Soul series. 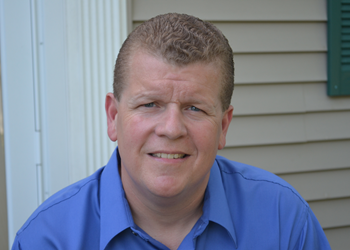 When not spending time with his beautiful wife, Paula, or their four children, this Massachusetts author is promoting his works or writing. Excerpt provided by the author.